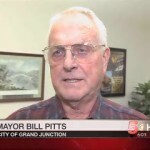 By any measure, former Grand Junction Mayor Bill Pitts is a stalwart of the community. A licensed private pilot and resident of Grand Junction for over 50 years, Pitts turned down several lucrative promotions offered to him by his former employer, a big security firm that sold safes, in order to move to and stay in Grand Junction. His company offered him a position supervising sales over the entire west coast, and he turned it down. Later he turned down another big opportunity to manage sales over the entire U.S. midwest region from Minnesota to the Gulf of Mexico. “This is the best place in the world to live,” Pitts says. “I’ve been in every state and over 21 countries, and there isn’t any place better than Grand Junction.” Married for over 50 years and a true booster of the community, by his own calculation Mayor Pitts put in 3.2 days per week into doing City business for the paltry sum of $700 a month, and he did every last duty his mayoral position called on him to do, no matter how small. “Anytime someone asked me to do something extra, give a graduation speech or whatever, I did it, no matter what,” Pitts says. Pitts is also a creative guy, having invented six different useful items that are currently on the international market. One is commonly used locally here in western Colorado: those plastic covers with magnetic edges that you slap over swamp cooler vents inside the house in winter to keep out the drafts. Pitts is also an accomplished businessman who began several local businesses from the ground up and sold them off. 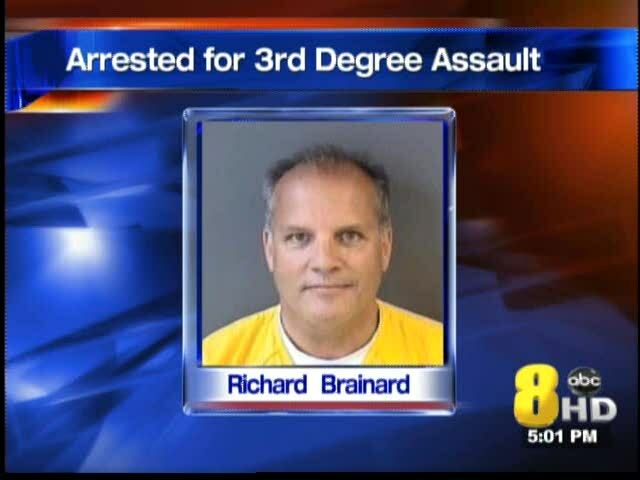 One is Security Alarm Company, which he sold to former City Councilor Bruce Hill. Pitts also started the campground and RV park at 22 and H Roads. As a realtor and developer, he started the Fountainhead subdivision at G Road at 25 Road. Pitts was also an active dues-paying member of the Grand Junction Area Chamber of Commerce for over 44 years. He helped start Dinosaur Days, was active in Chamber Rangers and other Chamber programs. Mr. Pitts is also a lifelong Republican, and in addition to regularly paying membership dues to the Chamber, he also was a regular donor to the Mesa County GOP. 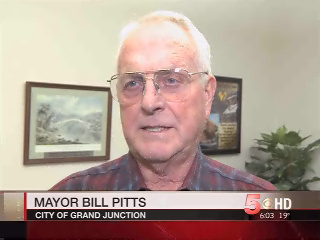 Bill Pitts is the quintessential, dyed-in-the-wool, patriotic, community-loving Republican Grand Junction resident. But at the May 1, 2013 City Council meeting he announced that after 44 years, he was withdrawing his membership in the Grand Junction Area Chamber of Commerce. He also has stopped giving money to the Mesa County GOP. For the first time in history, Pitts explains, last fall the Mesa County Republican Party ran an item in their monthly newsletter soliciting Republicans to run against him in the upcoming 2013 City Council race. Remember, Bill Pitts is a Republican, and the local Republican party was seeking another Republican to unseat him. This move by his own party to unseat him shocked Pitts. No one from the local GOP ever contacted him to say they were upset with anything he had done on City Council. Likewise no one at the G.J. Chamber picked up the phone to tell him they were unhappy with anything he had done before they started working to oust him. Now the Mesa County GOP and G.J. Chamber of Commerce can add this to their now growing track record of picking lousy candidates and getting them elected to local office. They must be very proud of their accomplishment, and all it will cost citizens to recall Brainard and clean up the mess. ← The End of The Grand Junction Area Chamber of Commerce? The agenda of the City Council and the Chamber of Commerce cannot be good for Grand Junction, nor its citizens. ONLY “yes” men to be supported by the Chamber of Commerce?? ?